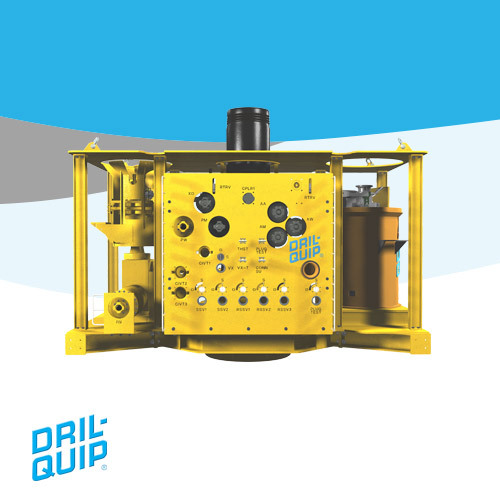 Dril-Quip’s horizontal tree is a modular design and is used for subsea wells that may require multiple workover sessions during the life of the well, for wells that have complex downhole configurations, and for wells that may require downhole submersible pumps. The horizontal tree offers the flexibility of running and pulling the tubing hanger without disturbing the tree-to-wellhead connection or the flowline connection to the tree. Dril-Quip horizontal trees can be equipped with direct hydraulic, electro-hydraulic or fiber-optic based multiplex control systems. Vertical or horizontal flowline connections are available in either hydraulic or mechanical versions. The Dril-Quip horizontal tree is available in 5-1/2" and 7" production tubing sizes and incorporates a 2-1/16" size annulus access.